This compilation of amateur snapshots reveals that photography in the U.S. has been a craze from its inception. George Eastman's creation of flexible film and the original Kodak box camera in 1888 gave birth to the ubiquitous snapshot. Since then, a steady progression of invention-from the one dollar Brownie in 1900, to 35mm film in the 1920s and color print film following WWII. The authors stop well short of the digital revolution (which they admit has introduced a different way of seeing), drawing to a close in 1972 with a perfect final image: the family snapshot that Apollo 16 astronaut Charles M. Duke, Jr. took on the moon. 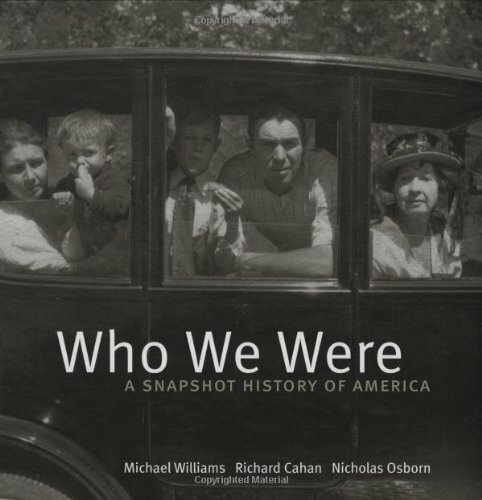 This tour of snapshot history lacks the scholarly perspectives of recent books such as 2007's The Art of the American Snapshot, taking a more populist approach and comparing snapshots to folk songs as repositories of everyday life. Commentaries on more than 350 images range from informative to obtrusive, but the images provide an irresistible blend of historical material and voyeuristic pleasures.